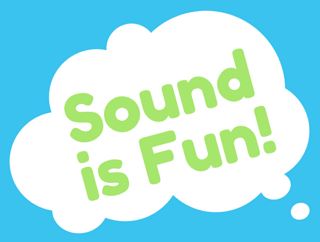 Gift Ideas for Kids Who Like Music and Tech ~ SOUND IS FUN! Music technology is about manipulating sound through electronics. For a kid who’s creative and technical it’s a great area to explore. 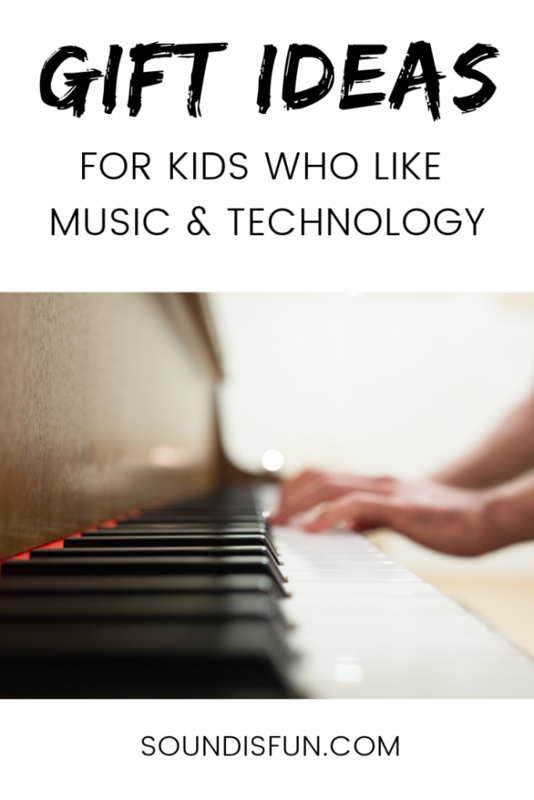 Music technology also falls under STEM since it is engineering and technology-based. It’s probably one of few STEM areas with a creative component to it, too. You don’t have to be a musician or even taking music lessons to explore this area or find it fun. This is hands down one of the best toys I would recommend. It teaches some of the basics of electronics and is safe for fairly young kids (recommended for 8 and above). Electronics projects and kits usually have one project, need a soldering iron (not kid-friendly), and it’s permanent once you put it together. This has 185 projects you can do over and over. If you’re not ready for the Sound kit, Snap Circuits have a few sound and music activities even in the most basic kits (like Snap Circuits Jr. SC-100). The skills you learn about electronics from these kits (in general) will apply to a lot of other areas of music technology. This is very new (just released in November) and is supposed to be available for the 2018 holidays. It’s a music synthesizer easy enough for a 3 year old (I’ll be trying it with my 2 year old, for sure!) Very cool idea for audio exploration. As a kid who hated to practice for my violin lessons, I would have been much more motivated with an electric instrument! 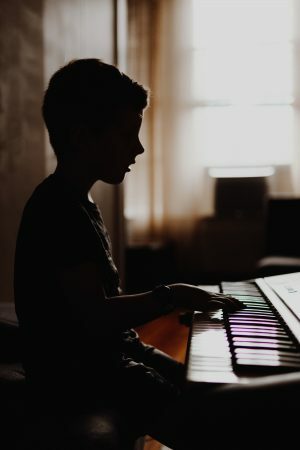 Learning to play any instrument is about getting hours in whether it’s playing scales or playing with effects pedals. Electric instruments give you the freedom to experiment and play without realizing that you’re actually practicing, too. Not all instruments have an electric version but many (like piano, drums, guitar, or strings – violin to bass) do. Behringer UM2 – to plug a guitar (or a microphone) into a computer. It’s very minimal in its features but around $30 USD. You can use headphones or speakers. ammoon PockRock Guitar – for playing around through an amp or headphones. For under $40 you can try out a lot of different sounds (amp models, delays, reverb). It’s a good way to learn about different sounds before digging deeper into individual pedals. If you’re on Mac or iOS, GarageBand is the obvious beginner choice. It’s very easy to use and it’s free.